Acid reflux disease comes about when the valve at the top of your stomach cannot fully close. Often this happens due to excessive fat accumulating around the internal organs. This permits stomach acid to climb the esophagus, leading to heartburn. Another cause of acid reflux disease is inadequate stomach acid, even though it’s often diagnosed as too much stomach acid. If your stomach environment isn’t acidic enough when you are eating, food “hangs around” longer instead of being quickly processed into your small intestine. This means that acid stays in your stomach longer than is ideal, and can irritate the tissues at the base of the esophagus. Your doctor can help you test to see if this is the issue with your acid reflux. Acid reflux is not just uncomfortable or painful — it can even lead to esophageal cancer and other diseases of the throat and esophagus, so it’s not wise to ignore it. Speak to your doctor if you are unable to resolve it through dietary changes. 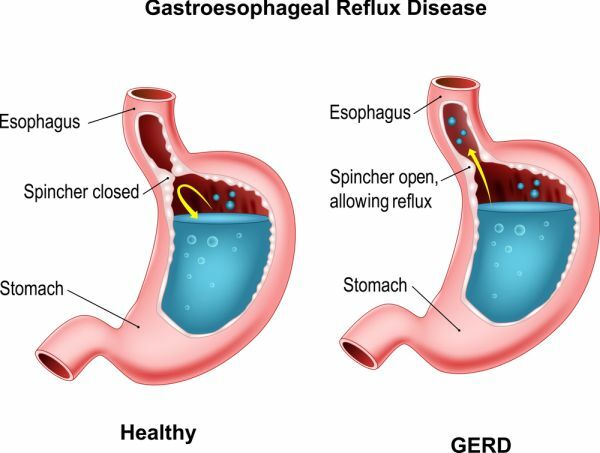 Weight loss may be the best way to address acid reflux disease over the long term. However, until then it can often be managed by selecting a diet that mitigates its effects. Here is a selection of foods that help with acid reflux. Oatmeal is filling and nutritious, and low in acids. Taken as part of breakfast, it provides steady energy for the morning. Even if you include raisins in your oatmeal, the acidity of the raisins is absorbed by the oatmeal. You can even add sunflower seeds, chia seeds, and pecans for extra nutritional hits. Ginger is a natural anti-inflammatory and has been known for this quality for centuries — it’s a central staple of Chinese medicine. It adds a sharp flavor to food and can be an excellent spice for added flavoring. Fennel is great as an addition to a salad. It reduces both indigestion and inflammation. In India, it’s common to chew fennel seeds to help digestion. Chicken is a good source of protein that doesn’t exacerbate acid reflux. However, it’s important to prepare chicken without adding ingredients that will contribute to acid reflux disease themselves. A little online research can reveal delicious recipes for chicken dishes that won’t exacerbate heartburn. Fish is also a good source of protein that won’t contribute to acid reflux. But like chicken, it’s important to avoid ingredients that contribute to acid reflux disease. Lemon, often associated with fish, is highly acidic. Avoid it. Instead, look to simple recipes that are light on seasonings of any kind. Cauliflower, brussels sprouts, broccoli, and other root vegetables help with acid reflux. Even potatoes have very low acidity levels. All of these can be quickly and easily prepared in ways that mitigate acid reflux. As usual, look closely at the additional ingredients used with these vegetables. A little research online will go a long way toward teaching you what can help with acid reflux disease and what which spices and herbs may make it worse. Celery is a great, flavorful filler. It has so few calories that eating it almost counts as a form of calorie-burning exercise. It can be diced and cooked into dishes, or cut in lengths to eat as a snack. While most fruits are high in acids, these are not. They make excellent snack foods, and bananas go well cut into slices and placed on oatmeal for breakfast. Whole-grain breads are good sources of nutrients, without contributing to acid reflux disease. Research also shows that foods containing whole grains may contribute to weight loss. So replace that white bread with a whole-grain type. Again, if limiting acidic foods gives you no relief, it may well be that your stomach needs help to digest foods effectively. Your doctor can offer you dietary enzymes and/or HCL tablets (acid-creating) appropriate for your typical diet, that may provide relief. If your doctor decides that your issue is too much acid production, even after reducing acid-creating foods, there are acid-blocking medications available. However, these are usually a “last resort” as while they may provide quick relief, they can create digestive issues and nutritional deficiency problems in the long term.